With such a perfect location, perched on the edge of the African continent, and facing the Indian Ocean, Tanzania’s weather and climate leave nothing to be desired. Warm and sunny days are followed by cool and balmy nights, and whether you’re staying on Mt. 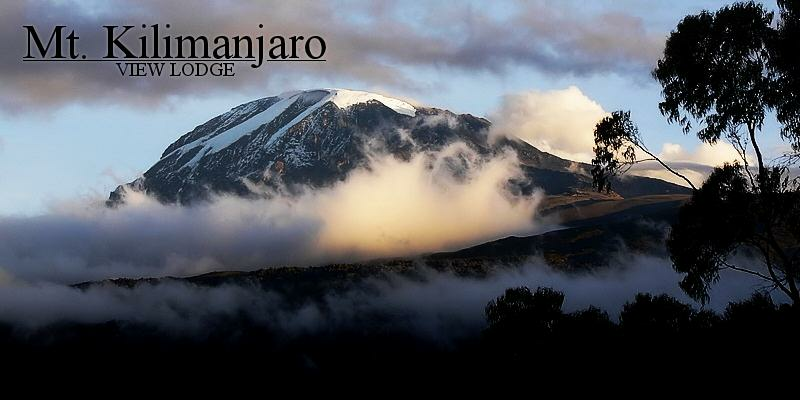 Kilimanjaro at Mount Kilimanjaro View Lodge, going on a Safari on the Serengeti plains or enjoying the tropical beaches of Zanzibar, the temperatures are always welcoming and gentle. Go to the Internet or a Travel Guide to find out when the best times to visit are, and learn more about the monsoon winds and seasonal rains. Sun-filled and beautiful days are not all that Tanzania has to offer. The country’s borders hold a vast number of people and tribes whose varied cultures and traditions make up the rich tapestry that is Tanzanian culture. Although Tanzania is a country rich in culture and traditions, its history is also one of treasured heritage and pride. The country embraces a rich history, from the arrival of merchants and traders on the Swahili Coast to the peaceful political climate that exists today. From the early days of mankind's history, man has called the land of Tanzania home - its verdant mountains and its scrubland plains. Find out more about the country’s rich history, from the arrival of merchants and traders on the Swahili Coast to the peaceful political climate that exists today. Tanzanians enjoy a climate of freedom and peace in their daily lives and value community and togetherness very highly. Religion is an expression of community and culture, and one that binds Tanzanians as citizens to their country and to the people around them. They practice Christianity, Islam, and traditional African religions in tolerance and understanding. Religion defines their community and sense of identity, but culturally, they are all Tanzanians. Their culture and traditions can be seen in everything they surround themselves with and the handicrafts that are the specialties of their country. Starting with the highly respected principles of President Julius Nyerere in the 1980's, a single language of Swahili, remarkable cooperation amongst the tribes, and a strong and generally popular ruling party today, Tanzania is one of the most democratic and stable countries in all of Africa.